Student Alex Nelson honored his teacher, Camisha Boyd, at the 2017 Teachers Who Made a Difference program. 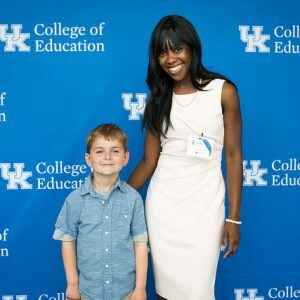 For the 20th year, the University of Kentucky College of Education is hosting an event for members of the public to honor a teacher, professor, principal or other education professional who has made a difference. The nominated teachers do not have to be graduates of the University of Kentucky or even residents of the Commonwealth of Kentucky. 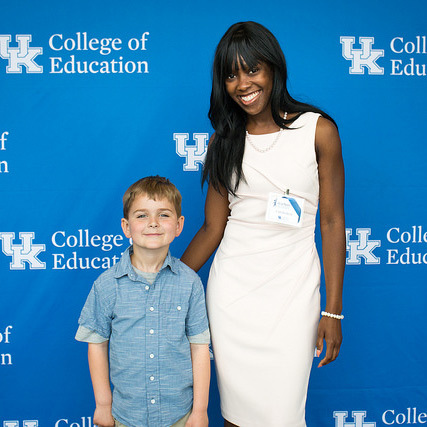 This year’s Teachers Who Made a Difference awards brunch will take place from 9:30 to 11:30 a.m. Saturday, April 21, in the Woodford Reserve Club at Kroger Field. 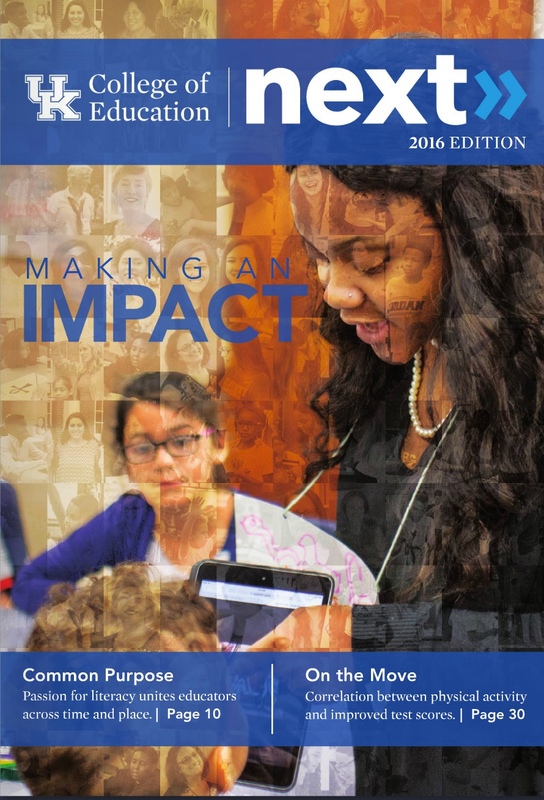 Nominate a teacher by March 31 via our contact form.